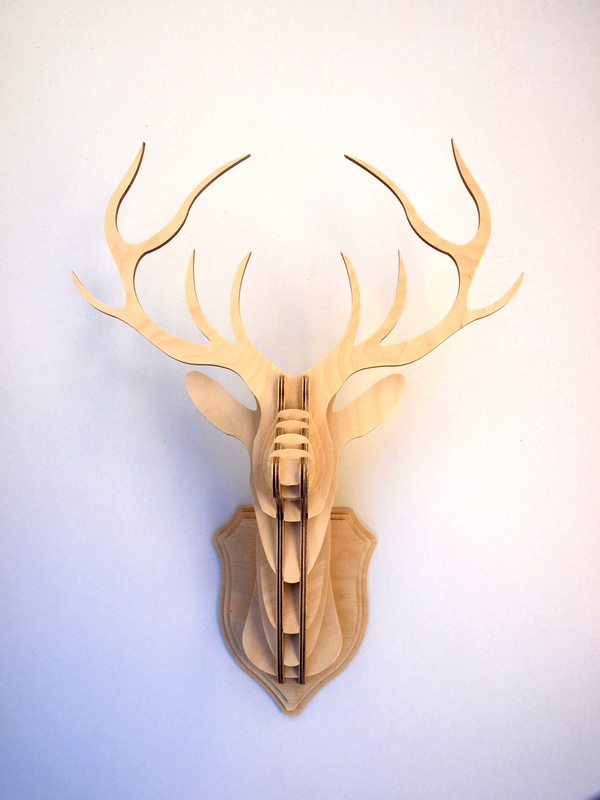 Show off your prestige by mounting this Stag head trophy in your home, studio or office. Constructed from 14 interlocking components, complete with its own unique 3 layered shield mount. 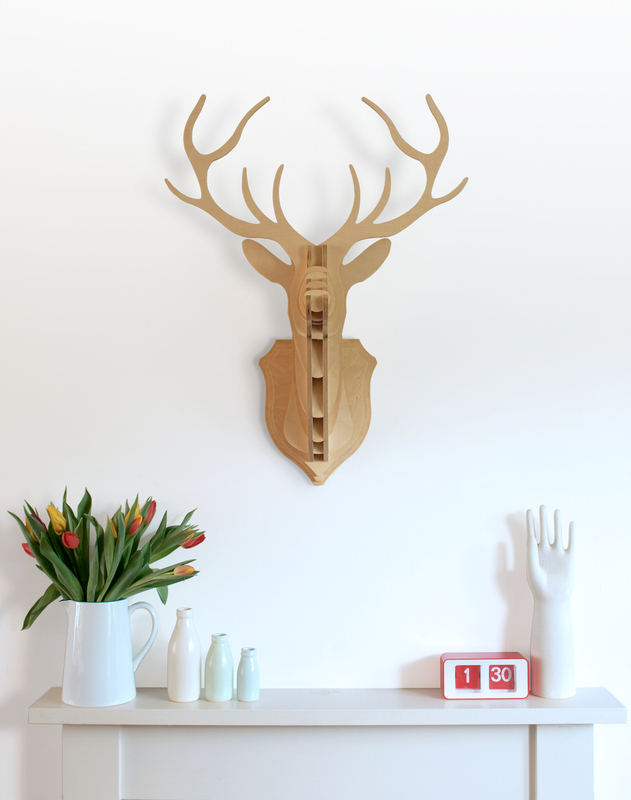 The Stag is available in three different sizes, small, medium and large. Each Stag component is precisely cut and finished from high specification birch plywood to ensure the final product is incredibly stable and built to last a lifetime. Designed to be mounted on your wall with the use of a single screw or simply left to rest against it. The neutral wood finish can be left as shown or easily painted or stained accordingly. Large: 76x58x34cm at its longest (tallest), widest and deepest points. Medium: 53x40x25cm at its longest (tallest), widest and deepest points. Small: 34x24x15cm at its longest (tallest), widest and deepest points.